Already listed with our Phuket cushions directory? Decorate indoor & outdoor with a unique furniture cushions to fulfill a word of "BEAUTY", Naka - Chaofa West area contains cushion services to every customer. 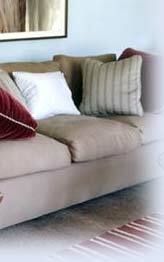 Phuket cushions including services in Naka - Chaofa West area offer a better choice for your home. House and Home Phuket is Phuket’s leading supplier of all your household furnishing needs from your garden and lawn to your bathroom.